An office assistant at the Ministry of Public Security, who was shot to his shoulder by his accomplice after robbing a man of his gold chain, was moments ago charged and remanded to prison after being slapped with an armed robbery charge. 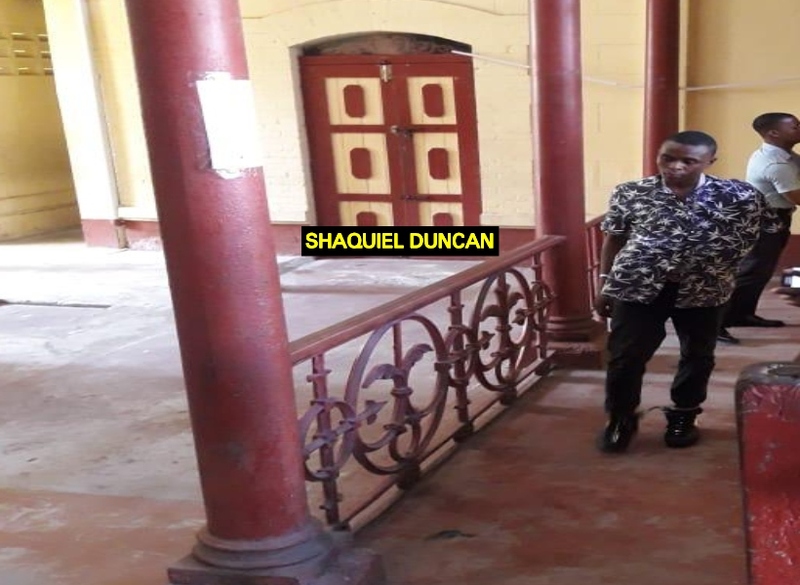 Shaquiel Duncan, 25, of Festival City, South Ruimveldt, Georgetown pleaded not guilty to the charge which stated that while being in the company of others on February 5, 2019 at Mandela Avenue, he robbed Steve Monroe of one gold chain valued $360,000. He appeared before Principal Magistrate Sherdel Marcus-Isaacs in the Georgetown Magistrates’ Courts. Facts presented by Police Prosecutor Quinn Harris stated that on the day in question, the victim was at a Super Bet Outlet on Mandela Avenue and Plaza Bridge when Duncan and another individual, who was armed with a gun, snatched a gold chain off his neck. Public-spirited persons gave chase after the perpetrators when the bandit discharged a round in their direction but the bullet struck his accomplice, Duncan, instead. The wounded suspect was taken into custody by members of the public and handed over to the police. Duncan’s accomplice managed to escape on a white XR motorcycle, leaving his wounded partner behind. The Prosecutor added that while in custody, Duncan admitted to robbing the victim, hence he was charged for the offence. Harris made serious objections to bail being granted to Duncan citing that he was positively identified and was caught in the act. The Magistrate after listening to the Prosecutor facts remanded Duncan to Prison. The father of two was instructed to make his next court appearance on March 4, 2019 for statements.